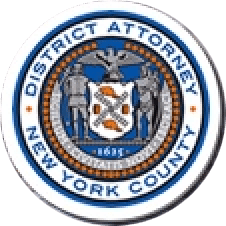 Manhattan District Attorney Cyrus R. Vance, Jr., today announced the guilty plea of private attorney JEFF GALLOWAY, 61, for failing to file his New York State personal income tax return and pay New York State personal income taxes. The defendant pleaded guilty to Criminal Tax Fraud in the Third Degree and is expected to be sentenced on July 22, 2015. According to his guilty plea and documents filed in court, between 2005 and 2010, GALLOWAY failed to file his New York State personal income tax returns and pay the taxes owed upon his earnings while earning close to $1 million dollars per year as a partner at the law firm of Hughes, Hubbard, and Reed LLP. In April 2012, investigators from the State Department of Taxation and Finance approached the defendant about his repeated failure to file. GALLOWAY falsely claimed that he had filed his tax returns in a timely manner, but that he had made a typographical error with his Social Security number in the returns. He then filed fraudulent, amended New York State personal income tax returns for the same tax years, purportedly in order to correct the typographical error. However, in the fraudulent amended returns, GALLOWAY claimed excessive deductions, including—among other things—claiming the rent for all four of his residential apartments in Battery Park City and claiming monthly garage parking in Manhattan for two personal vehicles. In subsequent meetings and communications with the Department of Taxation and Finance, GALLOWAY made repeated false claims that he had filed timely tax returns from 2005 to 2010, and false statements concerning the validity of the excessive deductions he took in his fraudulent amended returns. Assistant District Attorney Lisa M. White handled the prosecution of the case, under the supervision of Kim Han, Deputy Chief of the Tax Crimes Unit, Peirce Moser, Chief of the Tax Crimes Unit, and Executive Assistant District Attorney David M. Szuchman, Chief of the Investigation Division. Investigator Binguyeneza Fonseca-Sabune assisted with the investigation under the supervision of Supervisory Investigators Donato Siciliano and Jonathan Reid, Deputy Chief Investigator Santiago Batista, and Assistant Chief Investigator Michael Wigdor. Senior Computer Forensics Analyst Avram Lansky and Senior Accountant Investigator Peter Persampieri of the Tax Crimes Unit, and Principal Financial Investigator Patrick Colby of the Forensic Accounting & Financial Investigations Bureau, also assisted with the investigation. District Attorney Vance also thanked Forensic Auditor Elias Del Rosario, Associate Attorney Robert Eisman, Section Head Nicholas Capkovic, Assistant Director Bruce Kato, and Deputy Commissioner Barry Ginsberg of the New York State Department of Taxation and Finance for their assistance and cooperation in this case.